Talk about funny timing. On Monday night, I was talking to my dad and he was telling me about someone he knew that had their credit card info taken, and how it had happened multiple times. He wondered how credit card fraud had happened to them. Yikes. Let’s say that I skipped right over to that one. I’ve had a couple of instances where I got an e-mail or a call about activity, but never was there a problem and I was able to confirm the transactions. As soon as I opened the e-mail and looked at the lists, I could tell that these were definitely not charges I made. The first thing I did was log into my account to make sure that this was real, and wasn’t a phishing attempt of some sort, but it turns out these were right. I saw five transactions that had gone through on Tuesday, all for very small amounts, between $8 – $20, and all appeared to be at gas stations. The charges were made locally, within about 25 miles from my house. I checked to make sure that the card was in my wallet. It was. So someone had obtained my info another way (and for readers who might remember a recent post, I did have a card that I lost and was sent back to me, but this was not tied to that at all, as that was a completely different card). I instantly called Citi and let them know that their alert system worked. They closed that card and started the process to move everything to a new card, which I’ll receive in a few days. I checked all of our other credit and banking accounts and there were no other problems. How Did Credit Card Fraud Happen To Me? 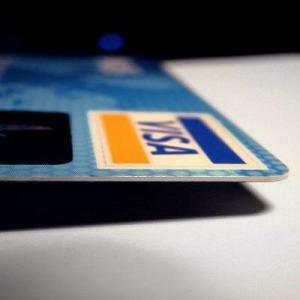 A skimming device – Maybe I was the victim of a skimming device placed on a credit card reader. I am pretty sure that a good portion of these types of things usually happen at either gas stations or ATMs,. While I don’t use this for those purposes, it could have been somewhere else. A dishonest employee – Could an employee of a store somehow taken card information? It’s possible. A former breach – There have been reports of breaches at various retail locations. It’s quite possible that at one point I used the card somewhere and the info was taken but never used until now. The fact that the fraudulent transactions happened locally, though, makes me think this was something on a smaller scale. The bottom line is that I’ll probably never really know. It’s interesting that the transactions were all so small. As I said, there were five transactions altogether, and I don’t think it totaled more than $30. I’m wondering if they were using these to test the card. They could run a few small transactions to see if it was noticed. If it wasn’t then I expect they’d move to something much bigger. In either case, I’ll definitely be keeping an eye out on all of our cards. I will be monitoring our credit info to make sure nothing looks out of the ordinary. You never know. It could have been a lot worse, but it’s still pretty scary stuff when it all comes down to it! Readers, have you been a victim of identify theft or fraud? How were you able to handle it? Ohhh, that’s frustrating and having to get a new card can be really inconvenient if you use it for some recurring bills. We had a period last year where we must have had to get a new card every 2-3 months, but it was different cards. Sorry that happened to you. It’s actually one card where I don’t think i have any recurring payments set, so that might not be a problem. They temporarily disabled account access, so when I get all that back, I’ll have to review the last couple months of transactions and take a look. My wife lost her card at the gas station a few years back. Within an hour, four or five charges had been made at the Wal-Mart next door. The first three were under $10 and then they charged an X-Box. We actually received a phone call from the bank within minutes of that happening. It’s amazing how they ‘know’. Ah it makes sense now why they were smaller purchases. I think you are absolutely right that they were trying to see if they could get away with it before making some bigger purchases. Sorry to hear about your misfortune! I’m just glad it was discovered before much worse happened. That’s really a bad experience, Moneybeagle. You’re still lucky because the purchase wasn’t big and you were able to close the card before big purchases were made. On the Sunday before Christmas last year I attempted to get gas with my one and only credit card at the time. It wouldn’t go through. Strange bc it had just been paid to zero that Friday before. I look online to see hundreds of dollars in pending charges to Facebook. So ironic because I didn’t even have an account with them! Who spends that kind of money on there and what are they buying?! I called my bank and they froze my card and said they would send a new one. Unfortunately we were leaving town for 10 days ON Christmas and I needed that card. They offered to overnight it for $30 fee. Luckily I am an employee of this bank and asked if there was a chance we got waivers on that…we did. I was saved! It is scary. As a matter of fact three months later I also got s collection letter from PayPal. Weird it was connected to my bank account they were allowed to pull funds any time. Checked MY PayPal and there was nothing going on. Someone set up an account with my info different email. Craziness! That’s insane. Glad it worked out, though it doesn’t sound fun!